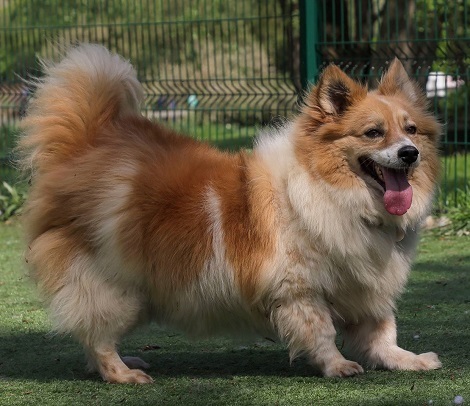 28/06/18 – Winnie has found her new home! Hooray! 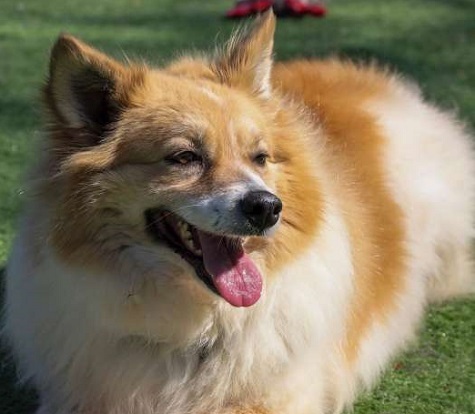 Meet Winnie, a super special girl who has an amazing fluffy coat on a corgi body. She’s just beautiful, isn’t she? 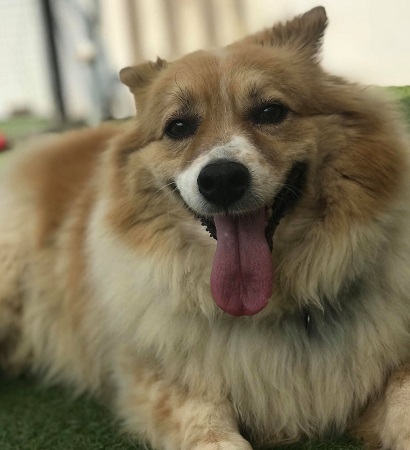 Winnie is around 8 years old and originally came from a pound in Romania, but has spent the last 3 years at a private shelter. She was waiting there for such a long time, that Love Underdogs brought her to the UK in the hope that her luck will change. At first meeting, Winnie is a little shy. But if you kneel down to her level and give her a belly rub, she’s all yours! She loves it so much when people go down to see her face to face, so if you can’t kneel down or sit on the floor with her for whatever reason, your experience with this sweetie will be sadly limited. Winnie loves nothing more than to view the world from upside down and getting a fuss and a tummy tickle at the same time. Then she’s in heaven. She has an adorable funny little character, a total golden girl. She is great with other dogs and although she wants attention she’s never pushy about it. 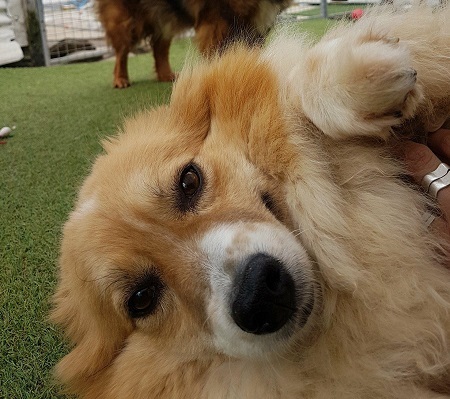 She is sharing her kennel with another shy girl, Peach, and they are the best of friends. In fact, Love Underdogs would be over the moon if someone could adopt both of them. 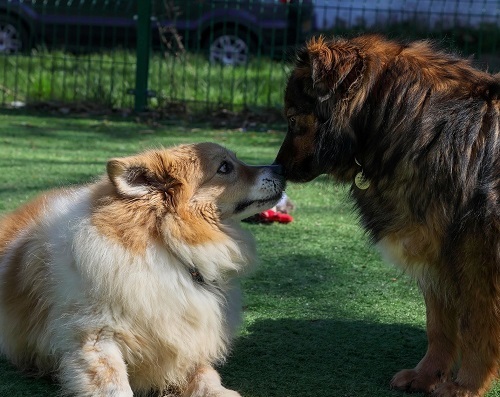 Winnie is an incredible support for Peach, who likes to watch Winnie to give her confidence and courage. It is just lovely to see Peach – such a shy girl – coming out of her shell, thanks to Winnie. Winnie is an older dog, so will not be placed with young children, as per the rescue’s policy. Over 16’s should be okay. She can live with other dogs, however, provided she gets enough attention and belly rubs for herself. Winnie’s ideal home would be one where she would get lots of love. She also loves walks, but not for hours and hours. She has a sensitive nature so will need a family to cater to this and, of course, to give belly rubs on tap. And if you are in the market for two lovely girls, Peach would love to come along with her bestie! They truly are an adorable pair. Please complete Love Underdogs’ online Enquiry Form (click here). Please mention that you saw Winnie on the Oldies Club website.